We at George's Show Horses have allowed others to post the horses they have for sale on our website Sale pages. If you see a horse that you would like to obtain more information on, please email George's Show Horses and we will contact the owner for you. Congratulations to Wayne Beck of Becks Farms on the purchase of this quality mare. '97 daughter of Reserve World Champion Maids Dream (Dreamfinder x Wapiti's Maid) and out of Senator Susan (Senator Hayes x Eternal Sun Belle AQHA). 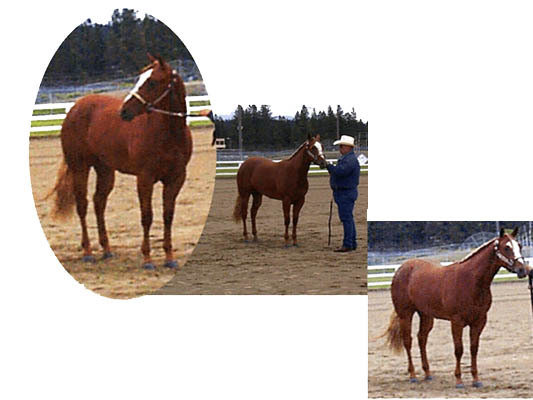 This mare has earned multiple National Points in Open, Non-Pro, and Youth Halter. She is a half sister to multiple World and Reserve World Champions. 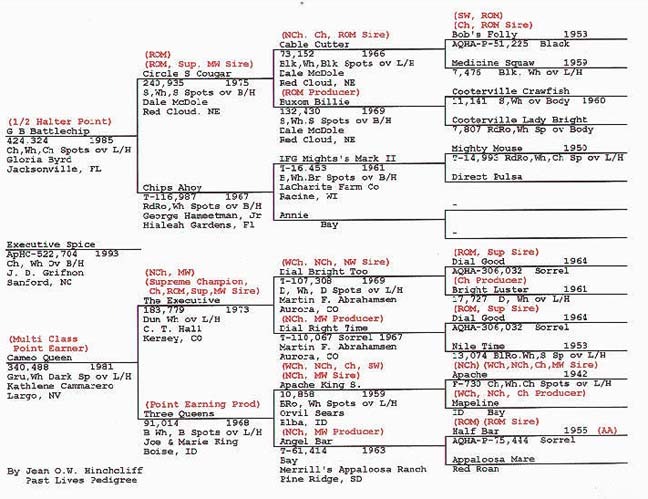 Just this past year at the World, there were 13 Maids Dreams' offspring there and 12 of them stood in the top ten (the other one stood 13th) in the various halter classes. This mare can be a performance horse after her halter career. 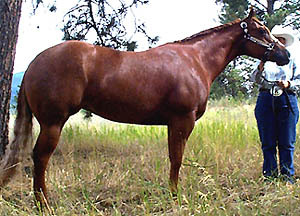 1999 loud colored daughter of Upperclassman, World/National Champion and out of Skips Vision, Canadian National Champion Broodmare. 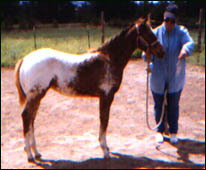 This filly has what it takes to win in halter and the color to compete in Most Colorful. 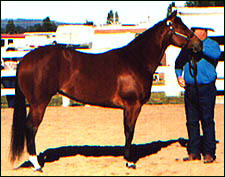 She was shown just once, (other committments prevented her from being shown more) where she took Grand Champion mare, beating out her own dam in the process. She is only for sale due to a family crisis, otherwise, we would be showing her ourselves next year. On her sire's side, she has many siblings that have competed at the Nationals and Worlds. With the proper training and the right handler, she could follow in her half siblings footsteps, prior to entering a breeding program where she should also excel. Add her to your broodmare band for outcrossing under the new CPO rules. 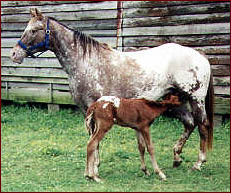 With her unique color, she should produce 100% foals with characteristics and 90% color no matter what breed of stallion you use. Congratulations to Jane Kilberg of Conroe, Texas on the purchase of this filly. she is going directly to Jeri and Goose Ballards of Ballards Show Horses to be fitted for halter. When she gets older, she will be sent to Jim Jirkovsky of J/S Training for possible cattle events.